GARDAÍ HAVE APPEALED for witnesses to come forward following an assault in Co Longford. A man in his 40s received what appear to be stab wounds during the course of an incident involving a large number of men. 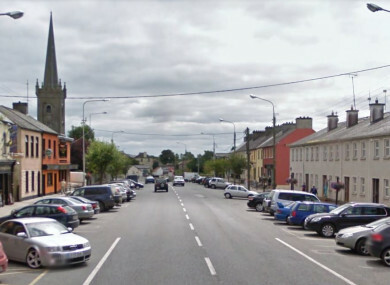 The incident happened on Main Street in Ballymahon at about 7am today. The man was taken to Midland Regional Hospital in Mullingar but has since been transferred to St James’s Hospital in Dublin, where his condition is described as serious. Gardaí have asked anyone with information or anyone who travelled through Ballymahon between 6.30am and 8am today to contact them at Longford Garda Station on 043 3350570. Email “Man found with stab wounds after 'incident involving large number of men'”. Feedback on “Man found with stab wounds after 'incident involving large number of men'”.